Shown is an old Pony Truss Bridge, which is located in Fayette County and still used for daily traffic. 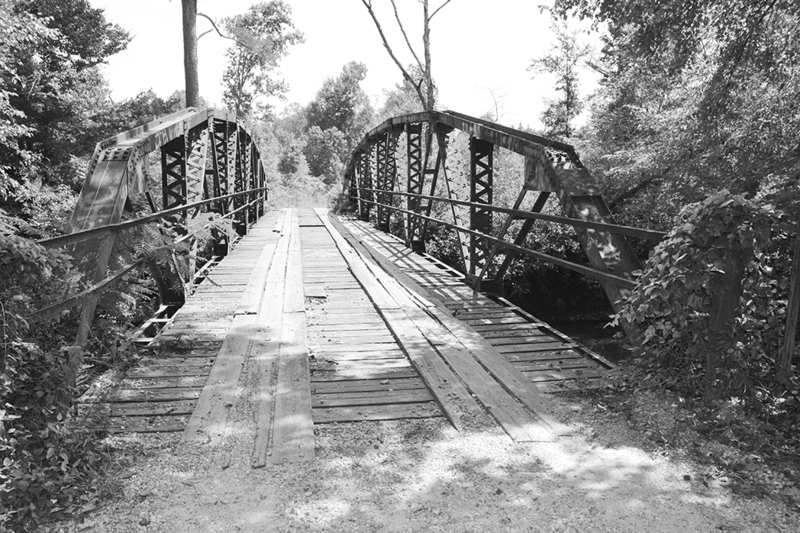 Approximately 15 miles from downtown Fayette, is an old Warren Pony Truss bridge, estimated to have been built around 1928. It spans the Luxapallila Creek on Dodson Road (off of County Road 21). This unique bridge is currently still open to traffic. Its total length is 101.1 feet, with a deck width of 12.1 feet.